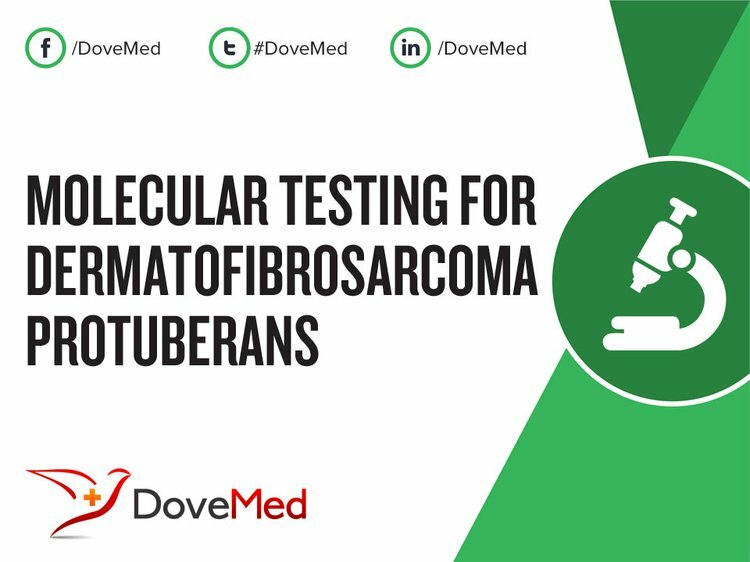 Molecular Testing for Dermatofibrosarcoma Protuberans is a genetic test that is helpful in aiding a diagnosis of dermatofibrosarcoma protuberans. 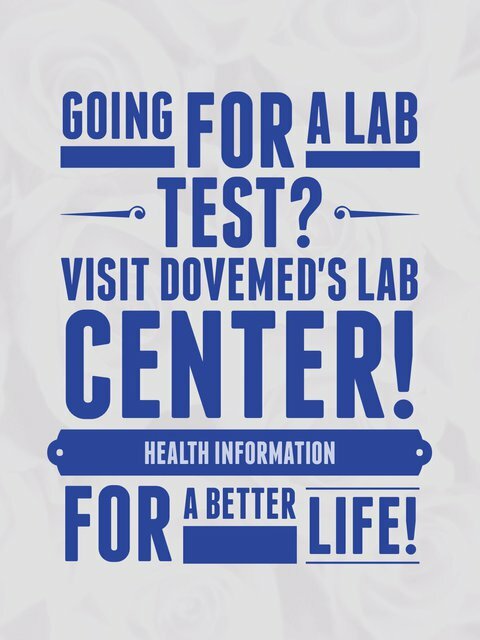 The methodology used for dermatofibrosarcoma protuberans may vary from one laboratory to another. What are the Clinical Indications for performing the Molecular Testing for Dermatofibrosarcoma Protuberans Test? How is the Specimen Collected for Molecular Testing for Dermatofibrosarcoma Protuberans? What is the Significance of the Molecular Testing for Dermatofibrosarcoma Protuberans Result? Rutkowski, P., Van Glabbeke, M., Rankin, C. J., Ruka, W., Rubin, B. P., Debiec-Rychter, M., ... & Hohenberger, P. (2010). Imatinib mesylate in advanced dermatofibrosarcoma protuberans: pooled analysis of two phase II clinical trials. Journal of Clinical Oncology, 28(10), 1772-1779. Farma, J. M., Ammori, J. B., Zager, J. S., Marzban, S. S., Bui, M. M., Bichakjian, C. K., ... & Letson, G. D. (2010). Dermatofibrosarcoma protuberans: how wide should we resect?. Annals of surgical oncology, 17(8), 2112-2118. Llombart, B., Serra-Guillén, C., Monteagudo, C., Guerrero, J. A. L., & Sanmartín, O. (2013, February). Dermatofibrosarcoma protuberans: a comprehensive review and update on diagnosis and management. In Seminars in diagnostic pathology (Vol. 30, No. 1, pp. 13-28). WB Saunders. Rutkowski, P., Dębiec‐Rychter, M., Nowecki, Z. I., Michej, W., Symonides, M., Ptaszynski, K., & Ruka, W. (2011). Treatment of advanced dermatofibrosarcoma protuberans with imatinib mesylate with or without surgical resection. Journal of the European Academy of Dermatology and Venereology, 25(3), 264-270. Bogucki, B., Neuhaus, I., & Hurst, E. A. (2012). Dermatofibrosarcoma protuberans: a review of the literature. Dermatologic Surgery, 38(4), 537-551. Ten Heuvel, S., Suurmeijer, A., Pras, E., Van Ginkel, R. J., & Hoekstra, H. J. (2010). Dermatofibrosarcoma protuberans: recurrence is related to the adequacy of surgical margins. European Journal of Surgical Oncology (EJSO), 36(1), 89-94. Bandarchi, B., Ma, L., Marginean, C., Hafezi, S., Zubovits, J., & Rasty, G. (2010). D2-40, a novel immunohistochemical marker in differentiating dermatofibroma from dermatofibrosarcoma protuberans. Modern pathology, 23(3), 434-438. Gooskens, S. L., Oranje, A. P., van Adrichem, L. N., de Waard‐van der Spek, F., den Hollander, J. C., van de Ven, C. P., & van den Heuvel‐Eibrink, M. M. (2010). Imatinib mesylate for children with dermatofibrosarcoma protuberans (DFSP). Pediatric blood & cancer, 55(2), 369-373. Angouridakis, N., Kafas, P., Jerjes, W., Triaridis, S., Upile, T., Karkavelas, G., & Nikolaou, A. (2011). Dermatofibrosarcoma protuberans with fibrosarcomatous transformation of the head and neck. Head & neck oncology, 3(1), 5. Salgado, R., Llombart, B., M Pujol, R., Fernández‐Serra, A., Sanmartín, O., Toll, A., ... & Yébenes, M. (2011). Molecular diagnosis of dermatofibrosarcoma protuberans: A comparison between reverse transcriptase‐polymerase chain reaction and fluorescence in situ hybridization methodologies. Genes, Chromosomes and Cancer, 50(7), 510-517.